Take a journey back into time, to the start of a new country, in this 18th Century Peruke Adult Wig. Made of 100% synthetic fibers, the gray child wig features an 18th century hairstyle with side row curls and a black ribbon-tied ponytail on back. 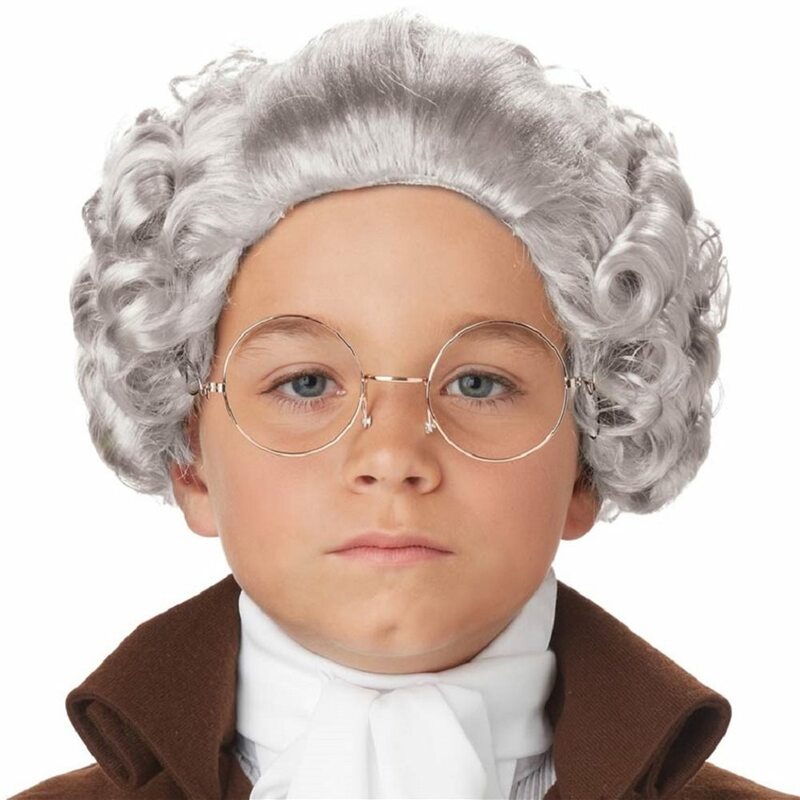 Terrific for a George Washington or a vintage military soldier costume, complete your look with this historical child’s wig.